Attacker receives and looks to turn and score by dribbling through sticks 2 pts. or finishing in Pugg goal for 1 pt. Must be inside scoring zone to shoot. 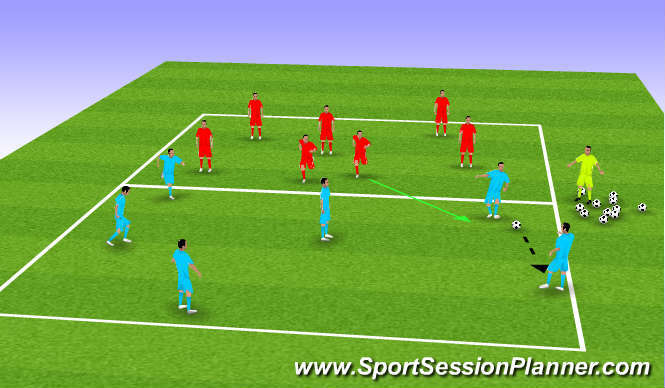 2 v 2 with 2nd players entering as soon as ball is touch by 1st attacker. 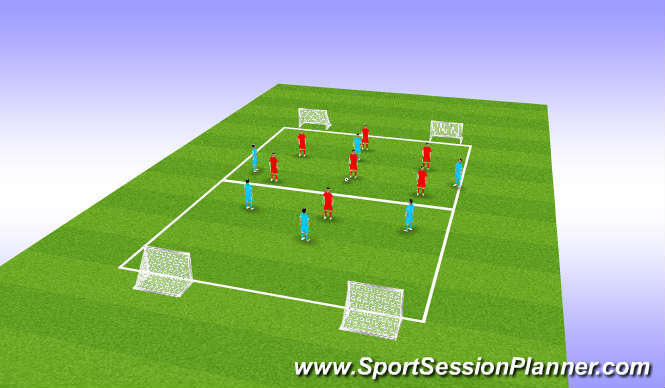 6 v 1 to start. 1 defender is added every time possessio team completes 3 passes. 1 point for getting 5 of 6 defenders in, 3 points for getting all 6 in. CP&apos;s move ball quickly especiall early. 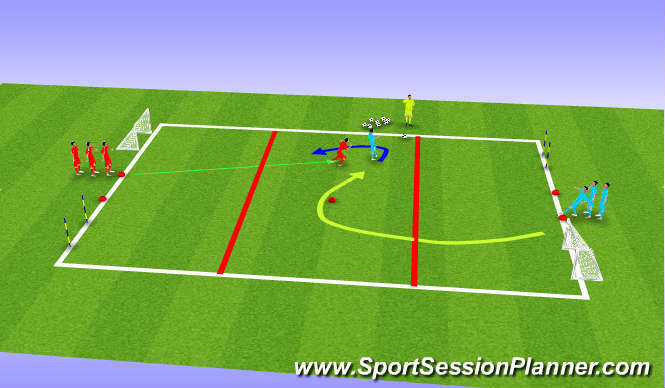 Keep ball moving by pass or dribble.